Quick, a show of hands: How many of you use a serum in your daily skincare routine? And how many of you have separate skin serums for day and night? If your hand didn't go up in response to either question, you might want to sit up and take notice. Serums are touted as skincare wunderkinds because they contain more potent, concentrated ingredients than creams or lotions. And although they've only really gained momentum as a product category in the last couple of years, those who are fanatical about their anti-aging regimens swear by them. Whether you're new to the serum game or you're looking for an alternative formula, keep your eyes peeled for these two newly launched serums—one for daytime use, one for nighttime— the next time you're shopping. 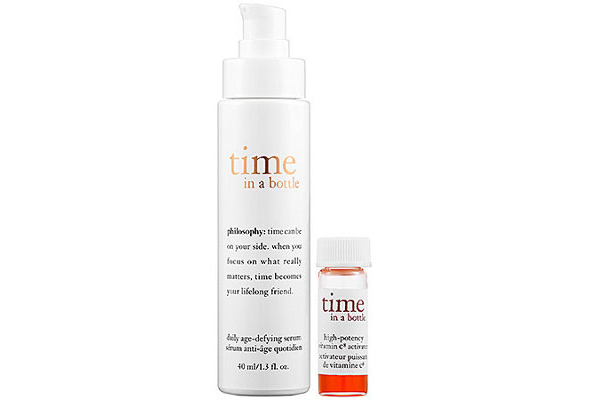 It took me a few days to get into the habit of adding time in a bottle to my morning routine. But once I did, I was hooked. The serum absorbs quickly and has a sublimely silky texture, which means it's ideal for layering moisturizer, sunscreen, and makeup on top. 2.5 pumps is enough for the face and neck. Although it's supposed to be good for day and evening, I prefer putting it on in the mornings so that the vitamin C can do its anti-oxidant thing and fight free radical damage. 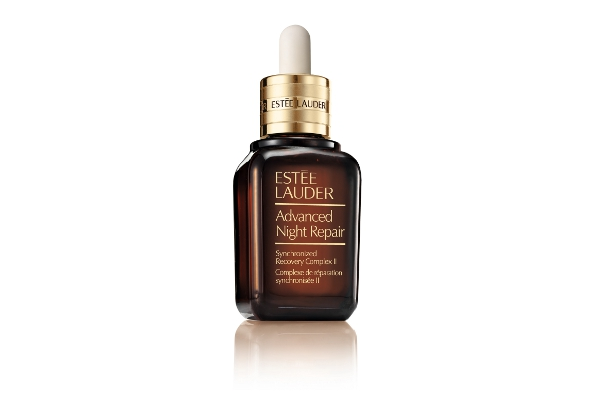 Estée Lauder reformulated their Advanced Night Repair Synchronized Recovery Complex merely four years ago, but they're already launching a another new formulation this summer based on a breakthrough discovery about how cells renew themselves. Advanced Night Repair Synchronized Recovery Complex II ($72 for 30 ml, $105 for 50 ml) has more than 25 patents and patents pending lasting until 2021. The science may be complex, but the basic principle behind ANR SRC II is simple: The formula synchronizes with skin cells' metabolic, purifying, and repair processes at night to better promote skin cell renewal. Other pluses: an insanely high level of hyaluronic acid to plump and moisturize skin; a quick-absorbing, silky texture; and an apothecary-like dropper bottle which makes it easy to dispense a precise amount of product. Both serums are supposed to address under-the-skin, cellular-level aging. I can't speak to how effective they are at addressing those concerns because I don't have many outward signs of skin damage at this point in life (thank you, Asian genes and a lifestyle that keeps me indoors and out of the sun). But in the past couple of weeks of regular use of both serums, I have noticed subtle improvements in my skin's tone and texture. I wake up looking much more refreshed, and I spend more days being tempted to go without makeup. So does that mean the serums work? Only time will tell. improvements in skin and texture is always good, and haha ya these asian genes! for sure!! and yaa skype date (i've been really busy sorry!) how about next wednesday night or mon/thursday night at 830pm your time? let me know! Looking forward to our Skype date tonight! I love and use both of these. Saw your Vitamin Daily write-up about Philosophy's Time in a Bottle. Good stuff (and nice usage of a Cher reference! ).